A beautiful piece of classic arts & crafts furniture. This substantially made solid English oak double bed features a plain and simple design which is typical of the arts & crafts period. The bed comes complete with robust side irons and a newly made pine slatted bed base; all that is required is a standard double mattress. 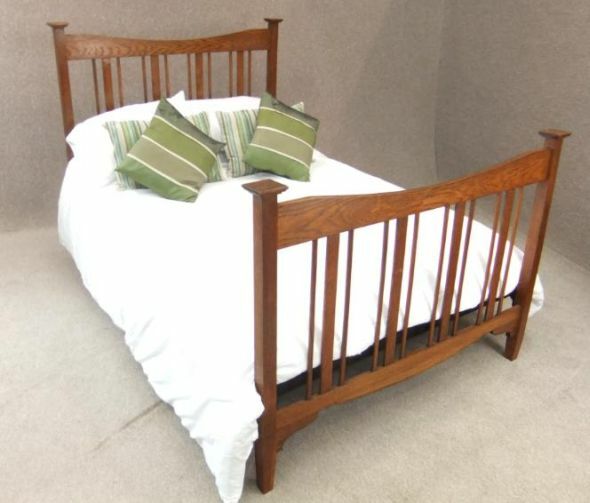 This arts & crafts double bed is in excellent condition, and would complement any arts and crafts furniture.